This intense one or two day skills course is all about developing leading skills for single and multi pitch ice routes and is designed for climbers with previous ice climbing experience. 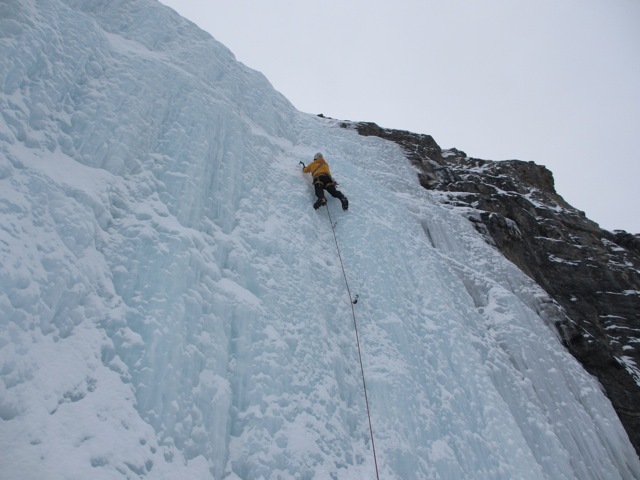 We start with a good review of basic ice climbing skills then move on to advanced skills. With only 4 guests max per instructor you will receive personal detailed coaching and training on essential skills used by professional climbing guides. 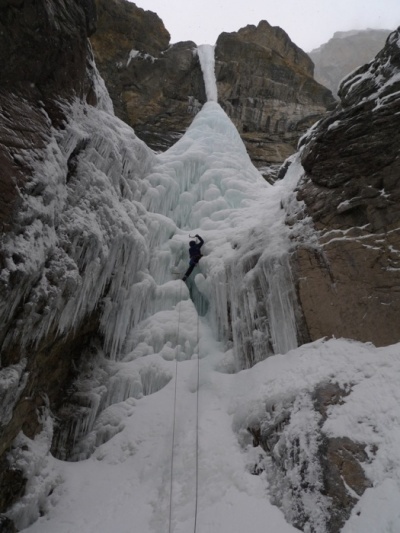 We will have you exceeding you personal ability's and leading ice climbs by the end of the course. - Welcome, goals and agenda. 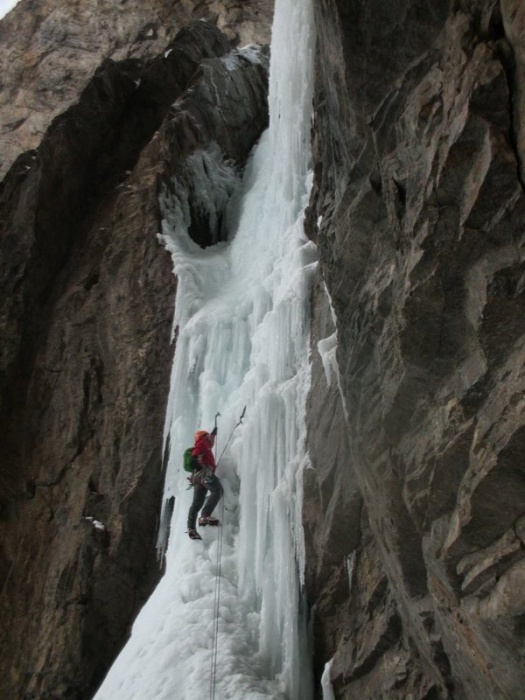 - Risk and hazard assessments for ice climbing. - Anchor construction review, ice screws, V-threads, terrain anchors and bolts. - Introduction to lead belaying and rope systems. - Placement of screws on steep terrain and clipping quick draws on lead. 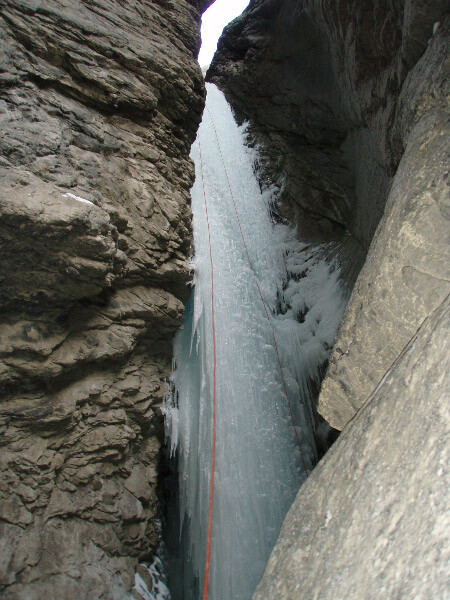 - Leading tactics for multi pitch ice routes. - Climbing multi pitch ice. - Rappelling with a backup. - Advanced movement skills coaching. Call or email to book preferred dates. Ice climbing gear is available to rent if needed. Canadaian Rockies, Canmore, Banff, Lake Louise, Golden BC. Fees are per person per day all inclusive and in Canadian funds. Full ice climbing gear rental package is $40.00 per day for tools, crampons, helmet and harness.